If you use barbells in your training, you likely already know just how irritating putting the collars on can be. As an outsider, you might not be able to see what the problem is. After all, they look simple enough; you slide your weights onto the end of the barbell and then just slide the collars on afterwards to keep everything in place. consciously decide to move them. Old style clamps are always in boring colours, normally only grey or silver, so you’ll be delighted to know that these HEX clamps from Lock-Jaw come in eight different colours to choose from. If you want to jazz up your barbells a little bit, then look no further. But it’s not just an aesthetic choice, it’s a safety choice too. If you have bright coloured collars, it’s much easier to see if you have clamps on or not. It’s easier to find them amongst the rest of your gym gear, so you don’t give up looking and dangerously try to lift without them. Nothing signifies strength like a big ol’ chunk of metal. These collars are made from the strongest aluminium. You can rest assured that when these bad boys are locked into place, they’re not going anywhere. You also know that they’re not going to crack or break the way some weaker materials often do. The quick release mechanisms allow you to, as the name suggests, quickly and easily lock and unlock these collars in place. Time is important, especially when you want to get proper rest between sets without having to spend most of your rest periods fumbling about with finicky collars. They’re available in colours of silver, black and red. All look great and all work great, though we recommend the red option as they’re easier to spot in a pinch whereas the silver and black can blend into the environment better. Ultimately though, the choice is, of course, yours. One of the best things about these newer style collars/clamps is that they don’t lose their shape/integrity. The gap stays the exact same size and the exact same shape, no matter what. The old style, as explained before, can lose both shape and size, making them at best a pain to use and at worst, deadly. That’s no exaggeration either, if the collars don’t stay in place, heavy weights could easily fly off the bar and kill someone. Easily. But not so with these new styles, that’s not the case. These clamps from Clout Fitness are designed to perfectly fit and slide on to the ends of Olympic barbells without catching and without sliding on too easily. Once in place and pressed against the plates, you can lock them in place with one simple flick. These clamps have been constructed with a mixture of nylon, steel and rubber. This combination of materials allow the device to be strong and stable yet light and smooth at the same time. By smooth, I mean that the clamp can slide on and off the barbell smoothly without any friction or catching. Such friction, and catching, can cause damage to the clamp lowering it’s effectiveness or breaking it outright. Greententljs have provided you with plenty of colour options, 11 in total, so if you’re particular about the look of your gym equipment, you have plenty to choose from to find something that suits you perfectly. These clamps, and all others on our list, are for Olympic barbells only. This means that they’re designed to fit on to the 2 inch ends of the barbell but will be far too big to fit onto the thinner 1 inch bars. Luckily, Greententljs do sell smaller clamps for those of you who already own the smaller bars at home. The popularity of these style of clamps can be partly attributed to sports like CrossFit and others training systems where you have to change the weights on the bar quickly and efficiently. These collars are still more secure and safer than old style collars so even if you don’t do CrossFit or other time-based training programmes, you’ll still glean a ton of benefits from them. Iron Lab have crafted their collars to withstand some serious strain; you can lift as hard and heavy as you can without having to worry about the collars and weights coming loose or even flying off completely. This kind of security provides you with the mental reassurance that allows you to take risks with your lifting and really smash those personal bests. The problem is, is that these collars rarely just slide on as easily as you’d like. Old-fashioned collars, the kind that 99% of gyms use, work by you squeezing the handles to open up space in the hole so that you can slide them on. Once they’re in place, you stop squeezing, the space closes up and they’re now set in place. But the more they’re used, and damaged by idiots who don’t take care of equipment, the harder they are to get on. You’re squeezing and squeezing but they just won’t open up enough to fit on the barbell. You end up using all of your rest just trying to get the damned things on and off that you’re more tired and worn out then during your set. But it can be even worse when they break in the other way; when they no longer clamp shut properly onto the bar. You might not even realise that they haven’t clamped down properly until it’s too late and the collars and weights are sliding off the end of the bar mid-rep. If you train CrossFit or power-lifting or any training protocol where you lift fast and explosive, you can see how such a thing can be extremely dangerous. 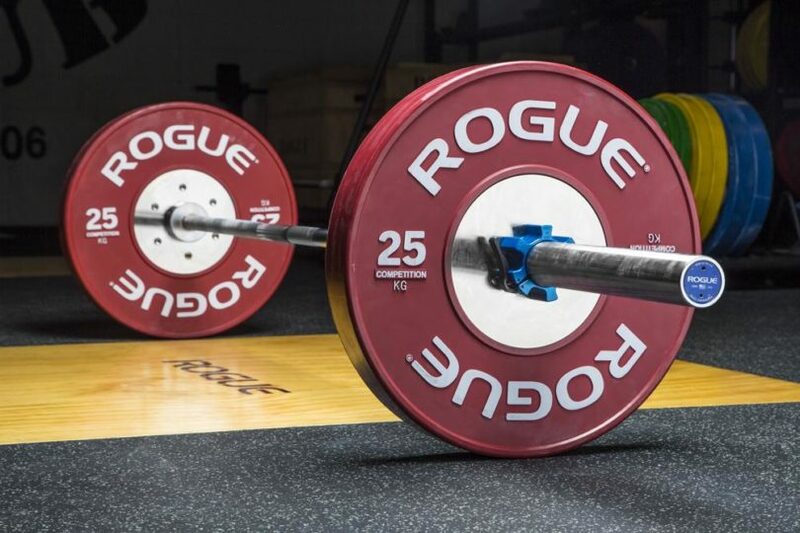 If you own your barbells, forget about these pesky old-style collars and invest in a proper set so you can set them and forget and never have to worry about your 45 pound plate flying off the end of the bar and killing someone during your snatches. A good set of olympic collars is a mandatory investment for any gym owner, be that a home gym owner or a commercial gym owner. It’s not a nice to have or a want. It’s a need. It’s a must. Safety must always come first when training and a strong pair of olympic clamps are the way to get that safety.